The heart is considered by traditional Chinese medicine to be the chief organ in the body. All other bodily systems depend on it for delivery of the most precious vital fluid—blood. When it fails to function, death is usually immediate. Myocardial infarction, the clinical term for heart attack, is the single most common cause of death in developed countries. Each year in the US alone, approximately one million people suffer from heart attacks that are all too often fatal. The characteristic symptoms of heart attack for men are sudden pain in the center of the chest, shortness of breath, restlessness, cold clammy skin, nausea or vomiting, pain or numbness radiating down the left arm, or a sudden loss of consciousness. When a heart attack strikes, it doesn’t always feel the same in women as it does in men. There are six heart attack symptoms that are common in women: chest pain or discomfort; pain in your arm(s), back, neck, or jaw; stomach pain; shortness of breath, nausea, or lightheadedness; sweating; and fatigue. Men are more likely to suffer heart attacks than women; smokers are more likely than non-smokers; and children of someone who died of a heart attack are more likely also to die from one. Other risk factors include increased age, unhealthy diet, stress, obesity, and disorders such as hypertension (high blood pressure), diabetes, and hyperlipidemia (excessive fat in the blood). Note: If someone is suspected of having a heart attack, a physician or ambulance should be summoned immediately! Most people who die of a heart attack do so within the first few hours of the attack, due to what is called ventricular fibrillation, which is an arrhythmia (irregular heartbeat) that seriously interferes with the heart’s pumping action. We wish to emphasize that no matter your personal preference for so-called alternative or conventional medicine, one of the best preventative health practices that you can engage in is to learn how to administer CPR (cardiopulmonary resuscitation). 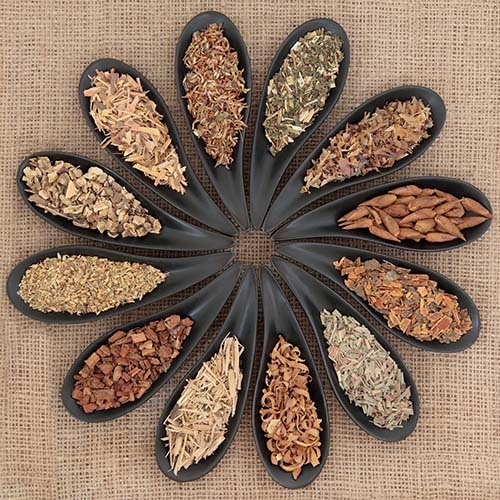 Traditional Chinese medicine offers us several formulas useful in aiding recovery from cardiac failure, myocardial infarction, or cardiogenic shock. These formulas will strengthen the functioning of the heart, increase vital energy (Chi), improve lung function (treat shallow respiration or shortness of breath), nourish the blood and relieve pain. The following formulas are used for prevention as well as following acute myocardial infarction. This heart-lung support prescription is available in pill formula and is sold in two sizes—choose fr..